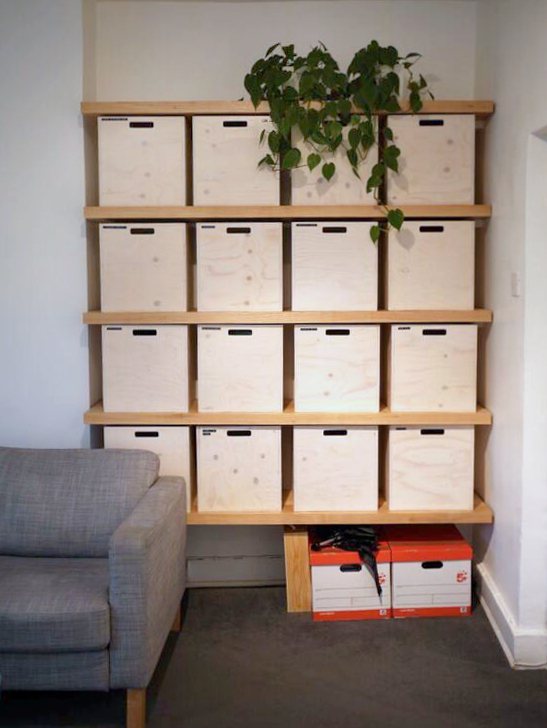 ﻿ The Future Customer / Newport Street Office | not tom. 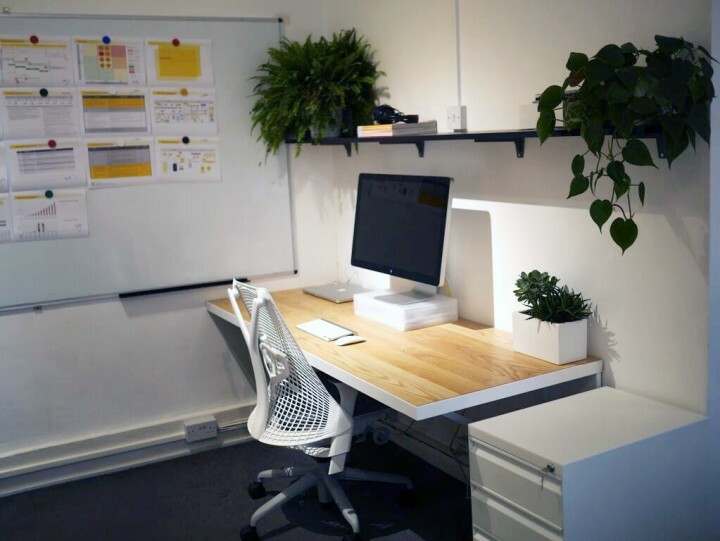 We were recently invited to fit out the new office for The Future Customer – we needed to deliver a bright, practical workspace with a sophisticated feel and a sense of calm. 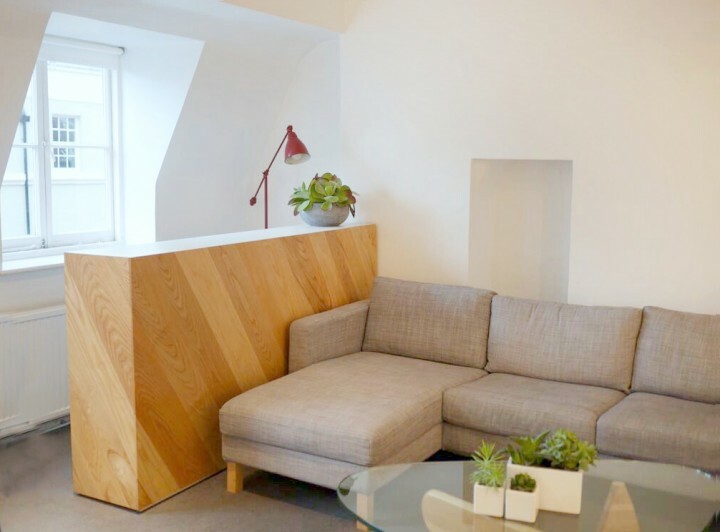 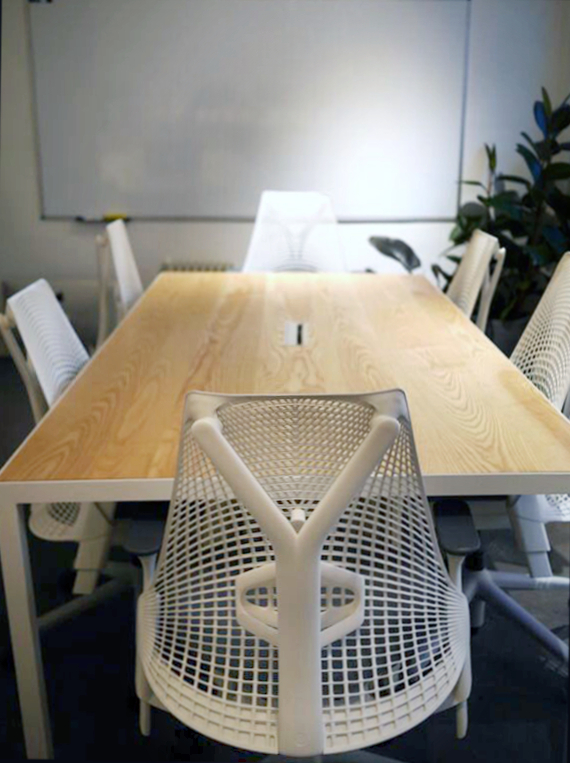 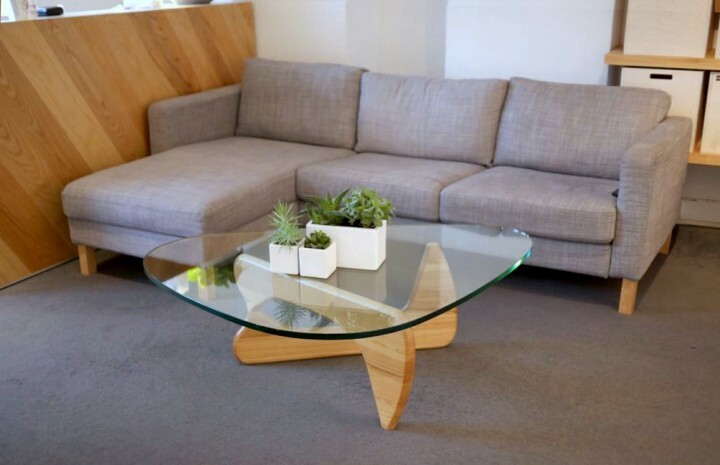 In order to make the best use of their space, we designed and built fitted and free-standing, bespoke made furniture throughout the office – from the large conference table to perch desks for laptop use and a room divider that acts as a reception desk. 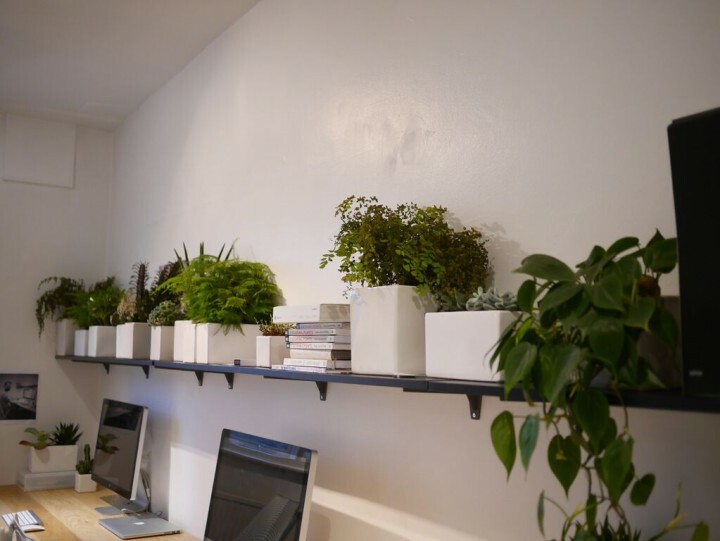 We also created a bespoke filing area within an alcove in the wall space, and dressed the whole office with plants to tie the whole thing together.